"Many unknown dinosaurs await discovery in rock formations all over the world, but some new species are hiding in plain sight. One such animal, described in an in-press Cretaceous Research paper, had one of the largest heads of any dinosaur." 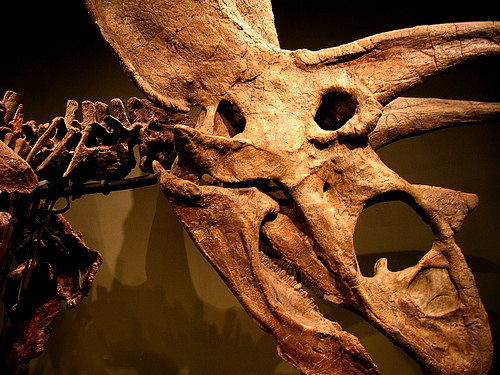 Sam Noble museum specimen, just re-named Titanoceratops. Image from Flickr user cosmicautumn.